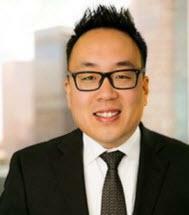 David Yang’s practice focuses on business litigation, complex commercial disputes and labor/employment matters. Mr. Yang’s extensive experience includes representing clients in shareholder disputes, partnership disputes, unfair competition, trade secret misappropriation, real property issues, disability discrimination, accommodation and harassment, sexual discrimination and harassment, age discrimination and harassment, retaliation, wrongful termination, defamation, anti-SLAPP litigation, wage and hour litigation, Private Attorney General Act claims, breach of contract, breach of fiduciary duty, fraud, professional liability, legal malpractice, professional licensing, and fee disputes. Mr. Yang is committed to his community, Mr. Yang also currently serves as the President-Elect of the Korean American Bar Association of Southern California, an organization that promotes excellence in the practice of law, supports the advancement of Korean-American candidates to the judicial bench, hosts monthly pro-bono legal clinics for the local under-served communities, and fosters the development of the Korean-American community in Southern California. Mr. Yang is based in Los Angeles. Defended a majority shareholder of a large garment manufacturer and helped defeat a $7 million breach of fiduciary duty claim at a jury trial brought by the corporation’s minority shareholder and former Vice President. Represented national law firm in a lawsuit alleging that attorneys unlawfully took company laptops containing clients’ confidential information and trade secret information to their new firms in violation of the Computer Fraud and Abuse Act. Represented a church in commercial landlord-tenant dispute and secured eviction of tenant from multi-million dollar real property.